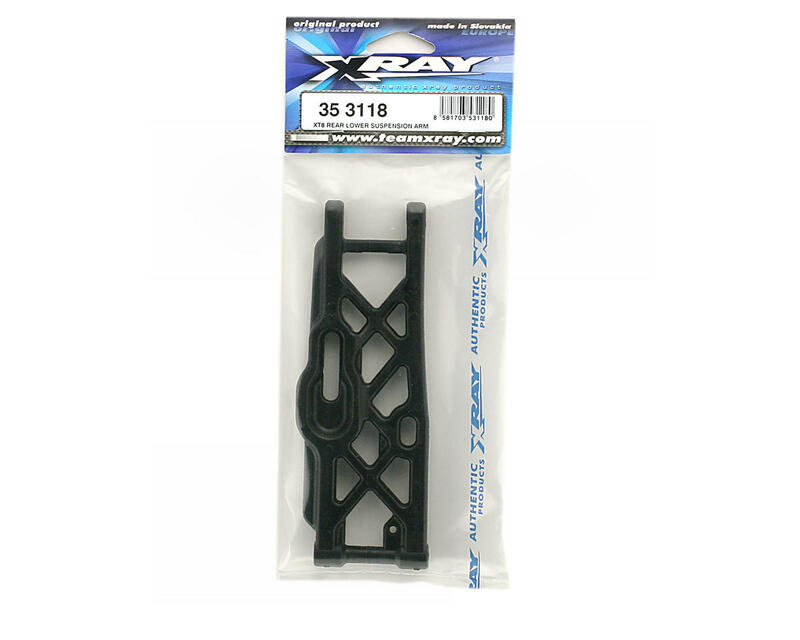 This is a replacement rear lower suspension arm from XRAY. 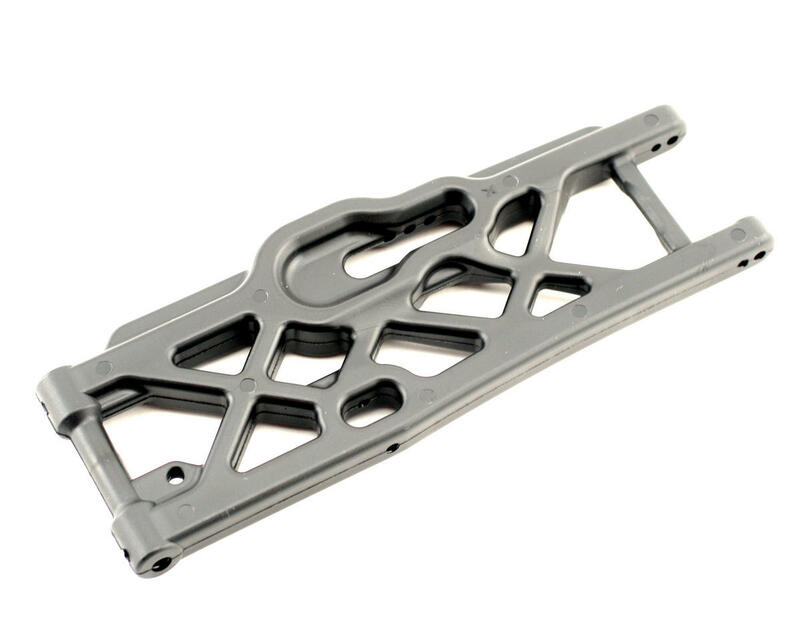 This suspension arm is made from super tough high tech composite material, may be used on either left or right side. The super long arms provide maximum stability and optimum stiffness to ensure maximum traction under all different racing conditions. These arms allow for superior handling over rough terrain and excellent landing over big jumps.The smooth lines of the arms ensure they are very easy to clean. Dozens of different suspension arm designs were tested in virtual reality, searching for the best mix of strength, flexibility, and durability. The arms are as thin as possible to provide sufficient flex (thus generating as much grip as possible), while are still reinforced in key areas (e.g., where shocks are mounted to the arms) to ensure that forces from landing big jumps are not transferred negatively to the arms thus avoiding deformation. Front lower arms have the end of the arms narrowed to provide increased steering characteristics and thus better handling.